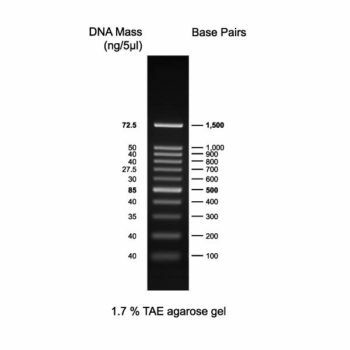 GeneDireX 100bp DNA Ladder H3 is a ready-to-load ladder with 12 fragments ranging from 100-3,000 base pairs, suitable for use as molecular weight standards for agarose gel electrophoresis. 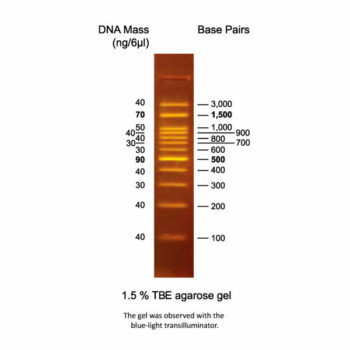 The 500 and 1,500 base pair bands have increased intensity to serve as reference points. 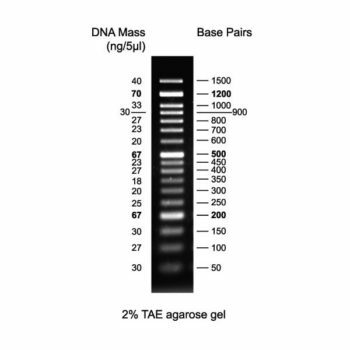 The approximate mass of DNA in each band is provided (0.54 µg a load) for approximating the mass of DNA in comparably intense samples of similar size. Store at 25°C for 6 months. Store at 4°C for 12 months. Store at -20°C for 24 months. 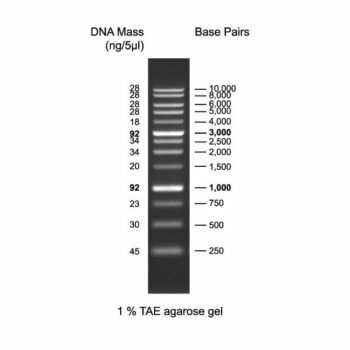 Trans5K DNA Marker is composed of eight linear double-stranded DNA bands. 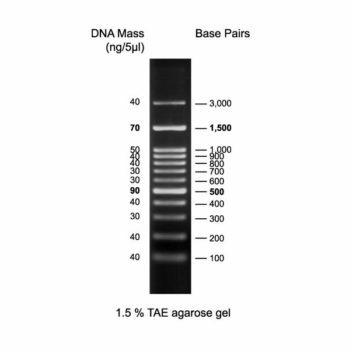 This ready-to-load product is premixed with 1xDNA loading buffer.